Betsy is a Fellow... | Williamson Williamson Inc.
Betsy Williamson has been elected to the College of Fellows of the Royal Architectural Institute of Canada. 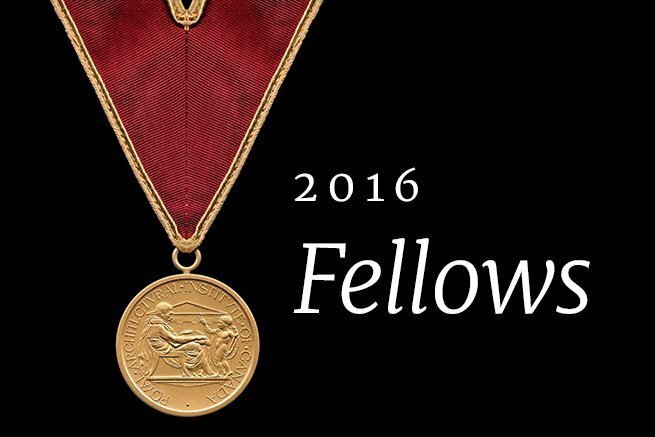 The RAIC bestows Fellowship in recognition of outstanding achievement. Criteria include design excellence, exceptional scholarly contribution or distinguished service to the profession or the community. Representing Canada coast-to-coast, the 41 new Fellows come from Charlottetown, Pokemouche, St. John’s, Dartmouth, Halifax, Montreal, Ottawa, Toronto, Winnipeg, Saskatoon, Edmonton, Sherwood Park, Calgary, Burnaby and Vancouver. Fellows will be inducted at the College of Fellows Convocation, which takes place during the RAIC’s Festival of Architecture in Nanaimo, BC, June 8 to 11.